NOTE PLEASE ADD RELEVANT PHOTOS WHEN DOING AN ONLINE BOOKING ABOVE. It will speed up your repair, and likely prevent more than one call out. Our service staff are qualified Electricians and Service Technicians. We service HotSpring, Tiger River, HotSpot, Solana, Highlife, Highlife NXT, Caldera and FreeFlow spa brands. We no longer service other spa brands due to the difiiculty and cost of obtaining spare parts for many of the obsolete, imported or online only spa brands. WE ONLY SERVICE Hot Spring Models including Solana, Hot Spot, Tiger River, Endless Pools, Highlife NXT, Limelight. Highlife. We are spa pool specialists. All service work and installations are carried out by Registered Electricicans to the current electrical code. 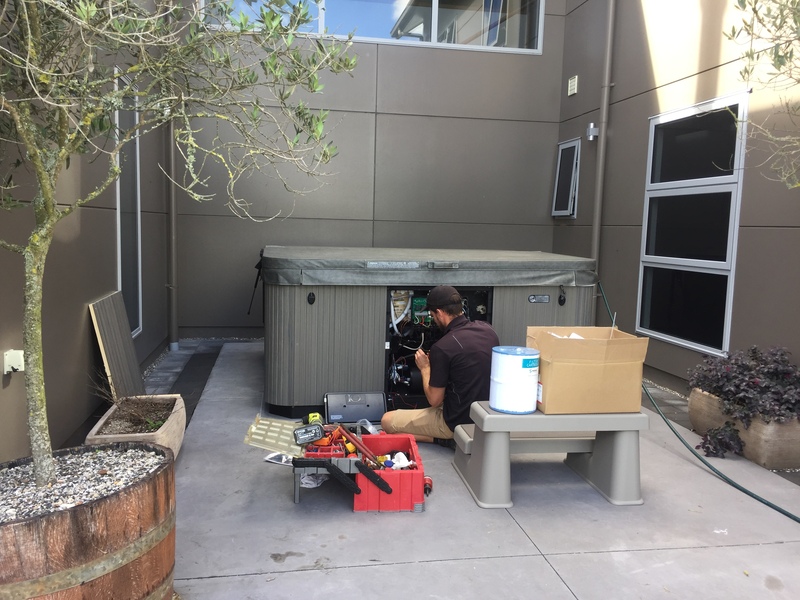 We offer a full installation service complete with code of compliance certification for HOT SPRING spa pool installations. We are an authorised warranty centre for HotSpring Spa Brands. Click on the link above or call 07 578 5866 to book a service call out. We cover the BOP, Coromandel and Parts of the Waikato. Minimum one hour call out fee applies to all service jobs. Where possible we will split travel costs when travelling outside our immediate area.